KOTO BRISBANE founder, Takako Nishibori brings the classic sounds of Japan alive through her mastery of the koto, being the greatest exponent of this ancient instrument across Queensland. 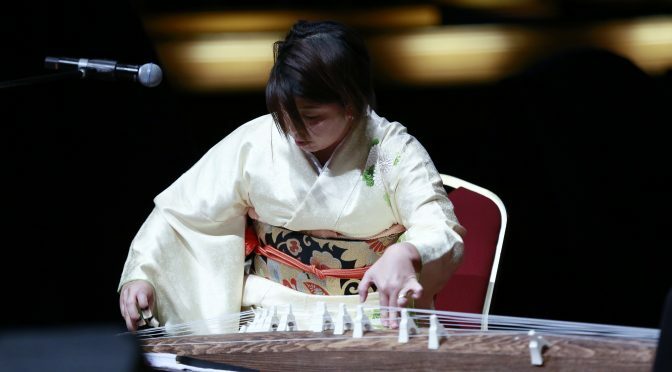 She performs classical Japanese pieces while exploring new boundaries and creating new styles fusing the koto with other instruments. Takako is a regular performer as both solo artist and in various ensembles. Your performance and interaction with our Japanese students at school recently was just wonderful. You have such a great way of keeping students engaged and active. Your performance (along with your assistant) was just so beautiful. We are really glad you joined us for our enrichment day! Hope to have you along again soon.